We want to hear from Labour activists and supporters today so please send us your stories and pictures at [email protected]. The pick of the submissions will be added to the liveblog. 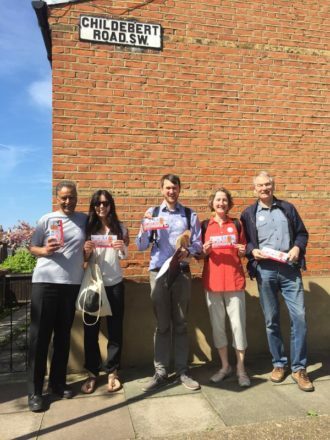 Saturday – After an exciting night celebrating Sadiq Khan’s victory, we can also add that Labour have been equally victorious in Bristol, where Marvin Rees has won the Bristol Mayoralty. Other Labour mayors were elected in Liverpool and Salford. Our election coverage from now will be on our main News page. 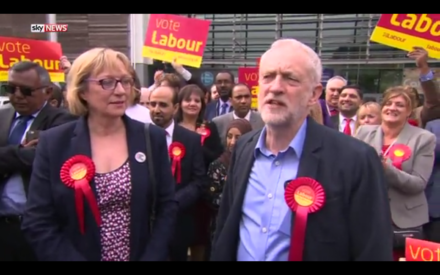 If you’re looking for a quick catch up: Jon Trickett has written an additional piece for LabourList celebrating Labour’s victory over the Tories. Michael Dugher has taken the other side of the debate for LabourList here. You can read our editor Peter Edwards take on the results here. However, a wide range of Labour figures have praised the “triumph of hope over fear” in Sadiq Khan’s victory. That leaves 11 London-wide AMs still to be elected – last time around Labour won four in that section. 18.00: Sadiq Khan will become Mayor of London tonight – it is only a matter now of when the announcement will be made. We’re expecting it to be made official in the next couple of hours. It is now mathemetically impossible for Sadiq Khan to be beaten by Zac Goldsmith in the contest to become London Mayor. 16.10 – Andy Burnham is considering a run for mayor of Manchester. The news broke overnight and Peter Edwards has taken a look at the pros and cons for Burnham and the party. 16.00 – Paul Dennett has won a second term as mayor of Salford. By all accounts, Sadiq Khan is on track to win in London. Less is known about London Assembly members. Labour have a net loss of 25 councillors so far, and have lost control of one council. 110 of 124 councils have declared. This is much better than everyone expected. Scottish Labour have fallen to third place behind the Conservatives in Holyrood, winning 24 MSPs. The SNP do not have a majority but will be forming a minority Government. Results are still coming in for Northern Ireland. The Labour Party does not stand candidates there but works with sister party SDLP, who so far have won one seat. In an attempt to bury the news on election day, the Tories have u-turned on their controversial plan to force all schools to become academies. 15.37 – We’ve got a a hung council in Plymouth, after the Conservatives gain one seat. Now both parties have 27 seats. 15.30 – Ken Livingstone sparks amazement as he returns to the damaging anti-Semitism row and tells MPs who criticised him: “You’ve cost us seats all over the country”. 15.28 – The SDLP still only has one seat in the Northern Ireland Assembly, with 14 seats now being allocated. The DUP is leading with six, Sinn Fein has four, and the Ulster Unionist Party, Alliance Party of Northern Ireland and PBPA have one each. 15.25 – Not election-related, but good news nonetheless: the BBC is reporting Nicky Morgan has abandoned plans to force all schools to become academies. The plans were slammed by both Labour and Tory politicians. 15.20 – Labour has won Rotherham council! While counting is still ongoing, and the area has returned at least 10 UKIP councillors (and one independent!) Labour have already secured a majority. This is an interesting case – the Government ordered a complete re-election of councillors following questions from child abuse scandal in the area. There was a 33 per cent turnout for the elections. 15.15 – Our sources tell us we’re expected to receive the result for London mayor at 6pm. Voters in Barnet and Camden ward, which has one of the highest Jewish populations in the country, are reportedly voting for Zac Goldsmith over Sadiq Khan, and so may reflect the impact of recent reports of anti-Semitism within the party. However, Khan is reportedly on track to win. As more votes are counted, more and more people are supporting the view that the polls were right, and Khan will win around 57 per cent of the vote (inc second preferences). 15.11 – Labour’s Paul Dennett has been elected Mayor of Salford! Congratulations to everyone who campaigned for Labour there. Dennett won 66 of the vote on second preferences. The election only narrowly went to seond preferences, as he won 49.56 per cent of first preferences. 14.48 – Welsh Labour said they are very pleased and have shot down reports they are “actively pursuing a coalition”. Carwyn Jones has said he will talk to Plaid Cymru and the Lib Dems. “We made real progress, but there’s more to do clearly. I set the target for the Labour Party which was to remove if possible the gap from the general election. I think we will narrow the gap. “Our target is that by 2020 we’ll be in a position to win then. We need to see steady progress until then. Our target today is to narrow the gap seen in 2015, and that is what we have done. 14.30 – Nicola Sturgeon has confirmed she will lead a minority Government in Holyrood. 14.25 – The BBC has reported the national projected vote share. This is important because generally council wins and losses aren’t a good indication of future general election results. For example, Michael Foot won over 1,000 councillors in his first round of local elections. Labour up two from 2015, down seven from 2012. Tories down five from 2015, down one from 2012. 14.19 – Kezia Dugdale has said Scottish Labour will not give up in an email to all Scottish Labour members following Labour falling into third place in Holyrood. She has previously confirmed she will not stand down as leader and this email reinforces that message. We always knew last night’s election would be hard for us. But that doesn’t make it any easier this morning. Especially when so many members and supporters gave so much time and effort. Listening to our opponents on TV last night it’s clear they want us to give up. We won’t. Why? Because we believe in something. We fought for what we believe in at this election – for using the power of government to invest in people. That is an idea that has been at the root of progress in this country for a century. After this result, and the election campaign of the last few weeks, it’s clearer than ever that if we don’t stand for this then no-one will. I hope this result will act as a rallying call for everyone who shares our values to join us. Let’s ask those people who we know share our principles to be part of our movement. We could have fought an election that was about the arguments of two years ago but we chose to stand up for what we believe in. We will keep standing for our belief that we can choose to be better than this. Despite the disappointment of the final results, hundreds of thousands of our fellow citizens stood with us. I’ll keep fighting for our values. 14.15 – Looking at today’s results, Labour would not have won two General Election target seats. One would have been narrow, and with four years to go until the next general election they should not be read into too closely. 14.08 – The SDLP have one seat in Stormont. Patsy McGlone has been elected from Mid Ulster. 14.07 – If you want a quick recap of the different responses to the election results, we’ve got two pieces which reflect the current debate well. Jon Trickett MP, who has been co-ordinating the elections this year, has written the results show we are put us on the right track for 2020. Jamie Reed MP has said the results are give the party “nowhere to hide“. LabourList editor Peter Edwards has written on Corbyn’s response here. 13.57 – Results from Northern Ireland will start being announced soon. Labour does not stand candidates in Stormont, but instead works with sister party Social Democratic Labour Party 12 Assembly Members before the election. The SDLP also has three MPs in Westminster, where they nominally take the Labour whip. 13.52 – Welsh Labour are here to brighten your day! They’ve directed attention to new UKIP councillor Neil Hamilton dancing in a glass cage with some fish. Hamilton previously left politics after his disgrace in a “cash for questions” scandal. 13.50 – We’ve reached the 100 councils mark! Only 24 are left to declare. Currently, Labour has 51 councils, with a net loss of one. We’re holding ground around the country. We’re suffering a net loss of 23 councillors, which is significantly better than expected. Lots of local authorities where UKIP hope to make gains – like Rotherham – are still to finish their counts, so keep your eyes peeled. UKIP have won 31 councillors so far, a new increase of 20 from before the election. 13.38 – 70 per cent of the votes have been counted in city hall. Sadiq Khan is still on course to win. 13.17 – Here’s a round-up from Peter Edwards of the response from backbenchers to the election results. 13.15 – In case you haven’t heard enough from him recently, Ken Livingstone has been on the news again. Ken Livingstone to @skynews: Jeremy Corbyn has "been damaged by a campaign by far right Labour MPs"
13.10 – There is one lonely Lib Dem councillor in Manchester (in 2010 they had 33) All 75 other councillors currently elected in the city are Labour. We’re not expecting the result for the Salford Mayor until 3.30pm. 13.05 – Ben Page, polling king, has pointed out the Women’s Equality Party are polling ahead of George Galloway. I’m pretty chirpy about this – Galloway has a terrible record on women’s rights. Sadiq Khan is also a bit of a fan of WEP – he said previously his second preference was going to the new women’s rights party. 13.03 – David Lammy has spoken out about Lynton Crosby winning a knighthood when his firm has ran a – by all accounts – dog-whistle campaign that has become associated with racism. Hours after polls close in the ugliest and most divisive campaign I can remember, Lynton Crosby receives knighthood for "political service"
12.53 – We have more sources confirming Sadiq is ahead in the current count for London Mayor. Just over half of the votes have been verified and Khan has a strong lead. Things could still change, but I’m feeling cautiously optimistic about this one. 12.47 – David Cameron has made a speech in Peterborough today, with the same “we have hung on” message. Richard Howitt (the MEP for the area) has provided us with some light relief, pointing out that the Conservatives actually lost a lots of ground there, with Labour gaining three council seats from them. 12.45 Good news from Durham! Labour have won the PCC election there, with a whopping 26 per cent of the vote. Well done to Ron Hogg, who won over 50,000 votes. 12.30 – Since the daytime counts have begun, both Labour and the Tories have won four councils. Labour have a net loss of 25 seats, which is significantly better than expected. 12.26 – John McDonnell has also added his voice to the fray, saying Labour must “get behind the leader” and “put up or shut up”. He added Labour have done well with rumours of a leadership coup two days before polling. “I’ve been talking to our party members all over the country, they’re saying for those begrudgers – because that’s what they are – for goodness sake, get behind the leader of the Labour party that was democratically elected, it’s time to put up or shut up. I think most Labour party members are saying look, you’re damaging our campaign by continuous carping. 12.21 – Corbyn’s full speech about the election results is here. He navigates the tricky topics fairly well, and is repeating the phrase all parties are using this morning – “hung on”. 12.19 – Kezia Dugdale has also confirmed she will not resign as Scottish Labour leader. You can read Conor’s take on the long-term challenges facing Scottish Labour here. 12.09 – Now the final Wales results are in, LabourList would like to congratulate the new Welsh Assembly Members who will be joining the Senedd. They are: Hannah Blythyn, Dawn Bowden, Rhiannon Passmore, Jayne Bryant, Vikki Howells, Jeremy Miles, Hefin David, Lee Waters and ex-MP Huw Irranca-Davies. 12.05 – Unsurprisingly, Corbyn has confirmed he has no plans to step down as leader. 11.48 – The final Wales results are in, but Labour have not gained any more seats. They remain the largest party in the Senedd with 29 Assembly Members. Welsh Labour leader Carwyn Jones signalled he would be searching for a coalition partner, but said the most important thing was that the question of coalition was settled quickly. He is staying close to the line many from Corbyn-sypathisers are saying. Dianne Abbott, speaking to the BBC this morning, said that a “swing to Labour” was important, showing “steady progress” toward future election wins. 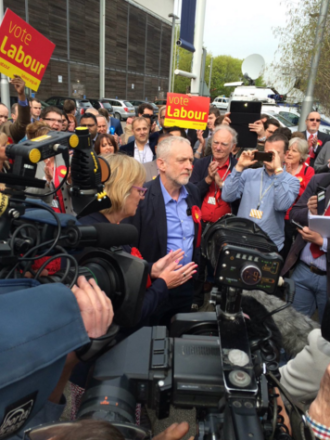 11.18 – Corbyn has also congratulated the party in Wales, adding the by-election is a considerable win. 11.15 – Elsewhere, in Bristol turnout has increased to 44.9 per cent – a big jump on the 2012 mayoral election with 27.9 per cent turnout. The final results from Wales are still not in. 11.13 – Jeremy Corbyn is speaking in Sheffield about the results from yesterday evening. He said Labour “hung on and we grew in support” in a lot of places. He has offered his support to Scottish Labour, saying “we are with you” and the two parts of the parties will walk “hand in hand” on the road to recovery. 11.09 – Rumours of Sadiq Khan’s victory in London are gaining traction. With between 15 and 20 per cent of the voted counted so far, Khan is comfortably in the lead. We’ll report more concrete facts when they arise, but the final result is not expected for several hours. 10.59 – The first daytime count council has come in – in Oxford – and it has a hold for Labour, which has in fact gained two seats from the Greens. 10.40 – Some of the first results from the daytime council counts are trickling in. While we won’t be able to report on every single council seat, things are looking positive for Labour in Oxford, where results are just being counted. Six out of seven councillors are Labour – a good set of results so far because Oxford is an area Lib Dems were targeting as part of their rebuilding process. However, many suburban results from are still to come in, and our sources predict these will be less positive. 10.32 – If you’re looking for a recap of where things stand, we’ve got updates on England, Scotland and Wales as well as the two Westminster by-elections. 10.25 – While we are in between the two waves of council results – some councils count overnight while some wait for the next day – we can assess how close we might get to LabourList readers’ expectations. The most common answer given was that we would increase the number of councillors by 0-49. With 44 councils left to declare this isn’t impossible, but as the party is currently down 26 seats, it would be an impressive change of pace. 09.52 – With a lull between results coming out, it’s time to reflect a little on what LabourList readers expected from the night. The party has already performed better than readers anticipated in Wales. We currently hold 29 Assembly seats. The most common prediction for the Senedd was 26-27 seats. Readers were also very pessimistic regarding MSPs. The most common prediction – with 29 per cent of readers choosing it – was for 14 or fewer politicians at Holyrood. We currently have 24, better than the average expectation, which was 15-19 MSP, though in reality it has not been enough for us to retain second place in Scotland. 09.31 – The Mid- and West Wales lists have been counted – Labour has won two more AMs from this list. Labour currently has 29 members, two short of an overall majority. 09.22 – In Scotland Labour won 22.6 per cent of the constituency vote (down 9.2 per cent) and 19.1 per cent of the regional list vote (down 7.2 per cent). 09.05 – The final results for Scotland are in. Labour is in third place with 24 MSPs. The SNP have failed to win a majority and have 63 MSPs. The Scottish Conservatives, under Ruth Davidson, have won 31. 08.40 – With three more SNP seats on in the South Scotland list, this means they are on track for a majority. With the Conservatives on 27 and Labour on 22, it looks like the Tories will become the official opposition in Holyrood. 08.37 – Five more Labour MSPs have been elected from the list votes in South Scotland and West Scotland. Iain Gray and Claudia Beamish have been elected from the South list, and Jackie Baillie, Neil Bibby and Mary Fee from the West list. 08.21 – Labour has not won any seats in the South Wales East or South Wales West lists. Between the two lists, UKIP and Plaid Cymru have both gained three Assembly Members and the Conservatives have gained two. There are nine seats left up for grabs. 08.02 – The North Wales list has also been announced, but it has returned no Labour Assembly Members. Labour currently has 26 members, the Conservatives and Plaid Cymru have seven each, UKIP has two and the Lib Dems have one. Labour is performing in line with pre-election predictions – they are on track to win the largest amount of seats but not achieved an overall majority. This is the first year UKIP have won seats in the Welsh Assembly. There are 17 seats still to be announced. 07.59 – The Highlands and Islands list vote for MSPs is in. Labour have won two – Rhoda Grant and David Stewart will have been elected. The area have also elected three Conservatives, one SNP and one Green. Labour currently has 20 MSPs, with the SNP having 60 and the Conservatives 25. Another 14 are yet to declare. 07.50 – While we’re not reporting every council declaring results tonight – Dom Anderson, Labour candidate for Boulton Ward in Derby, deserves a special mention – he won by only 10 votes, with UKIP coming second. Labour have retained their control of the council, but with a significantly reduced majority. 07.40 – Deputy Leader Tom Watson has been interviewed on the BBC this morning. He has said the results are a “mixed picture”, giving his commiserations to those who have lost their seats in Scotland. He added a defence of Jeremy’s leadership, saying the party had to “give time” for someone who has only been in position for eight months to work out the policy and direction of the party. 07.30 – The count for London Mayor and Assembly elections begins in half an hour. Results won’t start coming in until later in the day, but we’ll report them as they come in. 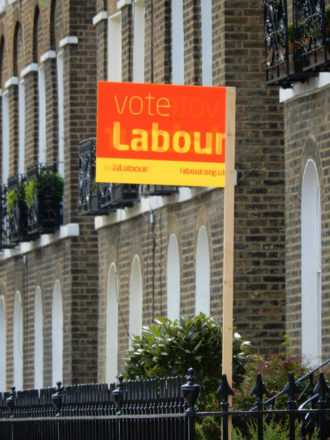 07.22 – If you’ve got a few minutes this morning , we’ve got Jon Trickett and Jamie Reed writing for LabourList today, offering different takes on how to interpret the election results. 07.17 – There is speculation the SNP may not retain their majority in Holyrood and may have to do a deal with a small party – potentially the Greens. If support for the SNP had plateaud, this could be a small piece of a good news for Labour supporters, as the party has been losing ground to the SNP for years. Notably, Scottish Lib Dems leader Willie Rennie won a seat of the SNP in Fife North. 07.11 – Labour have held Cardiff North, winning 44.8 per cent of the vote. The Conservatives came second, with 35 per cent. 07.09 – Turnout in Wales has been estimated at 44 per cent, up from 41.4 per cent in 2011. 07.02 – If you’ve just woken up and are enjoying your breakfast, have a quick look at Conor’s piece which explains where we are at the moment. Things will obviously change as more results come in, but it’s a good catch up if you’ve been sensible enough to get some sleep. 07.00 – The Scottish Parliamentary seat Ettrick, Roxburgh and Berwickshire in the South of Scotland has returned a Conservative MSP. Labour have dipped from 10.3 per cent of the vote in 2011 to 5.3 per cent. 06.58 – Labour have held Cardiff Central with 38.7 per cent of the vote, returning another Labour politician to the Welsh Assembly. 06.55 – Hello again everyone! It’s Sarah Pine back again, taking over from the brilliant Conor. I’ll keep you updated with the results as they come in. 06.18: Two Labour MSPs elected in Mid Scotland and Fife: deputy leader Alex Rowley and Claire Baker. 06.06: Two Labour MSPs have been elected on the Lothians list, meaning leder Kezia Dugdale and former leadership candidate Neil Findlay are returned to Holyrood. However Sarah Boyack, who stood for the leadership in 2014, was third on the list and misses out. 05.43: Welsh Labour has held onto Llanelli, as we reported an hour ago. That’s a blow to Plaid, who really hoped to take it. 05.14: Now confirmed that the SNP has a clean sweep of Glasgow’s constituency seats. 05.08: Significant gain for Plaid Cymru, as Leanne Wood takes Rhondda off Welsh Labour’s Leighton Andrews, overturning a 6,739 majority and delivering one of 3,459. That is a shock result for Welsh Labour, but sources point out that it so far seems that that Plaid Cymru victory comes at the expense of major gains across the country. 04.57: Joe Anderson has been returned for a second term as Labour Mayor of Liverpool, winning with 52 per cent of the vote. How long will he be there though? He has made no secret that he wants to be the Labour candidate for the new Liverpool metro mayor election next year. 04.47: Scottish Labour has just won its third seat of the night – Jackie Baillie triumphs with a majority of 100 in Dumbarton. 04.45: Those rumours (from the 01.26 update) of a Scottish Labour gain from the SNP in Edinburgh Southern have just come true. Labour activists there have gone wild as the party wins its second of the night, with a majority of 1,123. 04.43: Labour’s hold in Gower has just been officially confirmed. 04.42: Welsh Labour sources tell me that Llanelli, the top Plaid target is a hold for Labour. Gower, the top Tory target, is going to stay Labour too, despite reports of a big swing to the Conservatives. 04.34: Could Welsh Labour lose its first constituency seat of the night? Llanelli has gone to a recount. It’s a traditional Labour/Plaid Cymru swing seat, where we currently have a majority of 80. The Labour AM has stood down and the Plaid candidate from 2011 is standing again. 04.22: Disappointment for the Tories in England again: Labour hold West Lancs Council with an increased majority of eight after picking up a seat off the Conservatives. 04.19: As expected, Scottish Labour leader Kezia Dugdale has failed to take Edinburgh Eastern off the SNP – but she is top of the Lothian list, so won’t struggle to return to Holyrood. Election guru John Curtice has called for caution about speculation that the Tories might overtake Labour in Scotland. It looks like it will be close. In Wales, though, the Tories may just pip Plaid Cymru to retain second place. We could be in an interesting position where the Tories impress in Wales and Scotland, and fail to make much progress in England. 04.11: Labour hold Blaenau Gwent with a majority of just 650, after a 28 per cent swing to Plaid Cymru. Despite losing support, Welsh Labour seem to be getting the votes where they are needed and currently have 13 seats – well on the trajectory for the higher end of the mid-20s. That’s good news. 03.43: Labour’s managed to hold onto the very slender majority on Southampton Council. It is another tiny majority, in a marginal area with a disappointing 2015 result, where Labour has dug in and held on. Given recent weeks, there’s plenty of reason to be cheered by that. 03.36: One comfort from tonight so far has been Labour’s ability to hold onto control of councils, even as council seats have been lost – our tally is currently down by 45. However, we’ve just lost control of Dudley council to no overall control, after losing several seats to the Conservatives and UKIP on the finely balanced council. UKIP has a very strong local presence there. It will be worth noting what local MP and arch Corbyn critic Ian Austin has to say about it all. 03.31: Two results in from Labour seats in Scotland. Alex Rowley, Scottish Labour deputy leader, has been defeated in Cowdenbeath (Gordon Brown’s old stomping ground) by the SNP. Rowley is also top of the Mid-Scotland list though, so will be returned to Holyrood regardless. You can see the Scottish Labour lists here. But Scottish Labour does now have a constituency seat: former leader Iain Gray has held on in East Lothian. It is, though, looking increasingly likely that the Tories will come in second in Scotland. They are currently just ahead on votes cast, and several SNP seats are recording large SNP to Tory swings. 03.23: A couple more results in Wales, with more Labour holds in the Assembly. Vale of Clwyd, where Labour lost to the Tories in the general election last year, sees the Labour vote down by more than 11 points, but Ann Jones just hangs on there. That’s the worst result in Wales so far. In Delyn, Hannah Blythyn has won (becoming, apparently, the first out LGBT member of the Assembly in the process), with the Labour voteshare dropping just five points there. 03.08: Some good news for Labour. 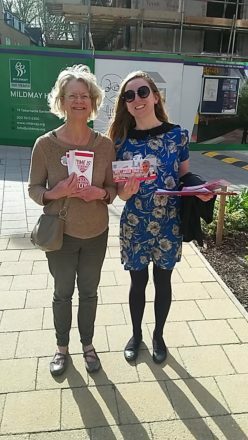 First of all, holding onto control of crucial southern council Crawley will be pointed to as a big symbolic result for Corbyn’s Labour – especially winning a seat to extend the slender majority to three. The other parliamentary by election in Ogmore is also an easy hold – although that was never in doubt. It’s interesting to see UKIP in second. 02.50: I’m expecting the number of council seat declarations to really start speeding up once we get to 3am, so it’s a good moment to take a quick stock take of where we are. What we’ve seen so far is a slow trickle of council seats going away from Labour – our total is down about 27 so far – but the vote is holding up just enough to hang onto Labour-run councils. 02.40: Rub those sleep-deprived eyes: the Tories have gained a seat from Labour in Scotland. The result in Eastwood is remarkable, with Ken Macintosh, who has twice stood for the Scottish Labour leadership, losing his seat. Macintosh is fourth on the list for Scottish Labour in West Scotland, so does he still have a chance of being returned as an MSP? It had been a Labour/Tory marginal result in 2011, and it seems the Labour to SNP swing may have been a major factor in the Conservatives’ success, as Labour’s slips to third place. Eastwood has similar boundaries to East Renfrewshire, which Jim Murphy lost to the SNP last year – and it’s been pointed out the seat has a big Jewish community, which may have turned away from Labour after the anti-Semitism row. The result in Greenock and Inverclyde is less surprising, with the SNP easily gaining from Labour. In Wales, Labour has comfortably held Alyn and Deeside once again. 02.29: Back to that complex story in Scotland: one source tells me to continue expecting a “hammering” in the constituency votes, but that the list seats should be “interesting”, which I hope is not another way of saying “complex”. Meanwhile, it’s been pointed out that on current trends, the Tories will beat Scottish Labour into second place. If current trend continues, the Tories will overtake Labour into 2nd place for the Scottish Parliament. 02.20: Labour has won in the Sheffield Brightside and Hillsborough parliamentary by election with a majority of 9,590 on a turnout of 33 per cent. UKIP came second, as they did in lat year’s election. Lib Dems pipped the Tories to third – their vote barely changed from 2015. 02.10: Pro-Corbyn voices pointing out that he launched Labour’s local election campaign in Harlow, where the party has held all its seats. It’s worth reading my colleague Sarah Pine’s analysis from the launch. 02.07: Llanelli is Plaid Cymru’s top target seat, but a source tells me it’s looking pretty good for Labour so far. It has been a Labour/Plaid swing seat since 2007, and Welsh Labour has a majority of just 80. If that’s a hold, it’s a pretty strong one. 01.56: Labour has held all the seats it was defending in Harlow (which I said at 01.36 was an interesting one to watch), retaining control of the council. In more worrying developments, the swing from Labour to the Tories was 11 per cent, higher than in the election last year – and there are concerns that we’ve also performed badly in wards with large Jewish communities in Bury South. Early doors but it's becoming very clear that Labour has made real improvement in vote share since 2015. 01.43: It can be a little difficult to piece together patterns and narratives in elections while they are still ongoing – it can be “complex”, as John McDonnell might describe it. While we’re still expecting bad things in Scotland, things certainly aren’t as straightforward as they first appeared. We’ve already had reports that (01.26) that Scottish Labour could make a gain from the SNP, and now it sounds like former leader Iain Gray could hold on to his constituency seat in East Lothian. What’s really interesting here is that it is not a three-way contest, which speculation suggests is where Labour will perform best – it is a straight fight between Labour and the SNP, which we held with a majority of just 151 in 2011. We’ll have to wait and see. 01.36: What exciting council results can we expect overnight? Let’s look at a handful of marginals that Labour failed to win last year. Nuneaton, which should give anyone with any memory of last year’s election nightmares, has already come in. Labour had a comfortable majority on the council there, but has lost three of the 15 seats we were defending there. Moving backwards in a swing seat is not the best. There are a few marginals that Tories won last year, where Labour currently have a knife-edge majority on the council: Redditch, Southampton, Carlisle and Harlow will all come in overnight. Watch out for them. 01.26: A plot twist! Not only are we getting indications that there is a constituency Scottish Labour are on course to win, it is actually a potential gain from the SNP in Edinburgh Southern. What do we learn from this, if it turns out to be true? Well, first of all, my source from the 00.42 update would be vindicated to some extent – the constituency was a proper three horse race between the SNP, Labour and the Lib Dems in 2011. It is also almost identical to Labour’s one remaining Westminster seat in Scotland, Ian Murray’s Edinburgh South. It’s a sign that the new reality of Scottish politics has settled a bit – south Edinburgh was never one of Labour’s strongest areas, but it seems the middle class voters there are moving to Labour as a bulwark against nationalism. 00.59: The first (of many?) SNP gain from Scottish Labour, and a possible first sign of a rumoured Labour wipe-out in Glasgow. A swing of nine per cent has given the SNP a majority of 3,743 – and if that swing was replicated in all Labour-held seats in Scotland, they would lose every single constituency MSP. 00.42: We are getting apocalyptic messages in from Scotland, and we’re hoping to get our first constituency announcement soon – in East Kilbride, which the SNP took from Labour in 2011. For what it’s worth, one source tells me that generally it is “too early to tell” how bad things will get. Where there is a straight fight between Scottish Labour and the SNP, things look dire – but in genuine three-way seats, Labour’s vote tends to be holding up a bit better. Let's be clear: our key test is how our share of the vote now compares to our share in 2015. Friday, 00.17: John McDonnell seems to be the Labour spokesperson out on the airwaves tonight – he’s now on BBC News, having done Sky earlier. He’s saying that we have to be “realistic” about tonight’s results, which will be “complex”. Labour looks set to move backwards from 2012 everywhere except in the London Mayor election (but including the London Assembly). However, McDonnell says that the result should be compared to the difference between Labour and the Tories’ voteshares in last year’s general election. This could allow for serious defeats across the country, given the successes under Miliband four years ago – which, it does not need saying, did not lead to a general election victory. I’ll do a round-up of councils worth watching overnight shortly. 23.49: Let’s take a bit of a closer look at Wales – especially that poll that came out tonight (see 22.48 update). As expected, Labour look set to move backwards. In the First Past The Post section, the YouGov/ITV/Cardiff Uni poll shows Labour dropping almost 10 points to 33%. There are two sides to this: while it is a significant drop in support, it still delivers the party a double digit lead. Much of that appears to be eaten up by UKIP, who are standing the constituency section for the first time. Despite the bluster, Plaid Cymru’s support in this section is almost entirely static. In the more proportional region section, Labour is again looking at another significant drop – this time by around 7 points. This sees Plaid edge forward a bit – but still not by a great deal. Again, the big gain appears to be for UKIP, who are looking at an 11 point rise in support. The eight AMs they are forecasted to win would all be in this section. So what does that mean? The forecast says Labour would be down three seats to 27 – which wouldn’t be bad considering the loss of support among voters. A source says that it would be a “decent result”, and points out that it is far more AMs than any other party could dream of. What about specific seats? Early reports from Gower – a seat Labour lost to the Tories in last year’s Westminster election – suggests a big swing to the Conservatives. But in Delyn, a Labour/Tory marginal that the Tories have been talking up, I’m told Conservative activists have already left. 23.04: We have the first result! No, we won’t be reporting on all 2,700 council seats up for election tonight – but the first ward to declare, Pallion in Sunderland, is a Labour hold. Just 2,742 to go. 22.58: We’re getting some of our first reports in from the new series of Game of Thrones Scotland. In Glasgow, traditionally one of Labour’s strongest heartlands, it sounds like a bloodbath. A disappointing day on the knocker, and Scottish Labour could lose every constituency seat in the city. Brace yourself. 22.48: We have an election night forecast for Wales! Carried out by YouGov for ITV, this is not an exit poll, but is based on speaking to those who said they would vote to see if they changed their minds. It puts Welsh Labour on 27 AMs – which is what LabourList readers said would be the likeliest outcome. It would leave Labour unlikely to be able to govern alone, and the Lib Dems on just two AMs would mean looking to Plaid for some sort of support. UKIP going from no seats to eight would be the night’s biggest story in Wales. But my impression is that Welsh Labour would be fairly pleased with 27 seats, given the likely loss of support. 22.40: There have been plenty of rumours doing the rounds today about abnormally low turnout in London – sparking some concerns about the Mayoral result. I’ll be pondering more about the implications of low turnout throughout our long evening together. However, initial feedback from Tower Hamlets in East London suggests it could be in the high-30s there. That’s the high end you can really hope for, and in a very Labour area. Will it settle any jitters? 22.28: DEFECTION KLAXON! Labour is already up one councillor, and no results are in yet. Well I've arrived at Stockport Town Hall for the Count to find that LibDem Councillor Stuart Bodsworth defected to Labour at 10.01pm! 22.23: That’s the expectation management set out by the leadership. But what do our readers think? I’ll be delving a bit further into it throughout the night – you can read the results of our election special survey here. 22.19: Shadow Chancellor John McDonnell restates the expectations for tonight, first set out by Jon Trickett on LabourList, that moving backwards on council seats is not as important as closing the seven point percentage lead the Tories had over Labour in last year’s general election. “In Britain, politics has become much more fragmented since 2012 with the continued rise of UKIP and nationalist parties in Scotland and Wales. 22.16: Sky News has just reported that a spokesperson for Andy Burnham has confirmed the Shadow Home Secretary been approached about running for the Labour selection in the Manchester Mayor race, and is considering it. The first directly elected Greater Manchester Mayor election will be next year. Asked about the possibility, John McDonnell has said “I’d want him to stay on and be Home Secretary when we return into power”, but understands why people have approached Burnham about it because he is “an asset to the Labour movement”. Ultimately, McDonnell says “it’s his own choice”. 22.00 – Polls are now closed! This is Conor Pope, and I will be taking over the liveblog for the night shift. I’m here until 8am, where we’ll be expecting pretty much all of the Welsh and Scottish results, as well as declarations from around 80 councils in England, and the Westminster by-elections in Ogmore and Sheffield Brightside and Hillsborough. 21.50 – If been out there today knocking on doors, sitting on polling stations, driving people to vote, phonebanking or running a committee room, you’re amazing. If you have a count to go to, good luck. If your count is tomorrow, get some rest. 21.40 – With close of polls in sight, results are on the horizon. Scotland and Wales will start the count immediately 10pm. We’ll be expecting results of seats to come in at about 2-3am. 21.21 – Julie Jackson is standing to be Warwickshire’s next PCC. The current Commissioner, Ron Ball, is not standing again. A fun trivia fact about the election – she is standing against a 22 year old, Ben Twomey, who (Sarah believes) is the youngest person to ever stand for the role. Conservative Adam Simmonds, at 39, is the current youngest to have actually ever won – in Northamptonshire. 21.09 – The mayoral election has dominated the focus of London polling, but the city is also electing assembly members. Labour currently has 12 out of 25 AMs. Vote counting in the London office begins at 8am tomorrow so we won’t be expecting a result until well into the day. Political commentators are reporting a fairly low turnout across the capital. 21.00 – There is ONE HOUR left until polls close. Here is a picture of Ed M in London Labour HQ, looking groovy in some jeans. 20.48 – Voters in Liverpool will also be choosing their Police and Crime Commissioner. Labour’s Jane Kennedy won the office back in 2012, with 56.2 per cent of the vote, but with a low turnout of 12.7 per cent. The former Labour MP is standing for re-election this year – best of luck to her! 20.40 – It’s the final push for Liverpool Mayor Joe Anderson, who is seeking re-election today. In 2012 Anderson won with a huge 57 per cent of the vote, on a turnout of 31.2 per cent. The second place candidate from last year was Independent Liam Fogarty, who is not standing again this time round. The Liverpool area is solidly Labour – the five MPs from around the city are all from the party. They are Maria Eagle, Luciana Berger, Louise Ellman, Steve Rotherham and Stephen Twigg. 20.28 – There are also Westminster by-elections also going on today. The MPs for Ogmore and Sheffield Brightside & Hillsborough are to be elected. Both are in Labour heartlands, so the party would be hoping for a repeat of Jim McMahon’s win in Oldham West and Royton back in Autumn. McMahon won with an increased vote share which many viewed as a litmus test for Labour’s prospects nationally. A solid win in Ogmore and Sheffield wouldn’t prove definite electoral success in 2020, but any significant loss in the vote share should worry the party. If Labour cannot hold on to votes in these seats, renewed criticism of the leadership team is likely. Christopher Elmore is standing for Welsh Labour in Ogmore. Labour won in 2015 with 53.9 per cent of the vote and a majority of 13,043. Gill Furniss, wife of deceased Harry Harpham who previously held the seat, is standing in Sheffield Brightside and Hillsborough. Labour won with 56.6 per cent of the vote in 2015. UKIP are considered a threat in Sheffield, where they have been increasing their share of the vote. While they were significantly behind Labour in 2015. UKIP came in third in Ogmore in 2015, though only 200 votes behind the Conservatives. They increased their share of the vote by 13 percentage points. As UKIP have stepped up their activity in Wales for the Assembly elections, it’s possible they could win still more votes, which would be very worrying for Labour. 20.10 – #VoteConservative has been trending on twitter, with many reminding others of the genuine impacts of voting Blue. #VoteConservative if you think the way to win elections is to smear opponents & scare voters, not offer hope & constructive solutions? 20.00 – Sorry for the power outage everyone! Here is Liz Kendall in some sunglasses to welcome you back to our liveblog. 18.05 – As 6pm passes, the sweet spot of campaigning begins. This is the time when a larger proportion of voters are not at work, free to vote and it’s not too late to knock on their door. Good luck to everyone across the country! 17.55 – Jim Pickard from the Financial Times is reporting a 12 per cent at 4pm turnout across London. If this is the case, it could signal one of the lowest turnouts the London mayor has seen is a long time. 17.45 – LabourList isn’t just covering the elections, but canvassing for them too. Here’s Sarah out on the doorstep in Weavers ward in Tower Hamlets. The last stats were from 3pm, where the local party has measured 16 per cent turnout. Last mayoral election saw a 36 per cent turnout from the ward and electioneers are predicting a similar turnout this year. 16.55 – Just spotted this from @ChukaUmunna: “Every senior Lib Dem I speak to is giving their second preference to @SadiqKhan today. Greens too. All appalled by the negative Tory campaign”. 16.40 – Readers are getting in touch to ask about the Police and Crime Commissioner elections which suffered a record low turnout in the inaugural set in 2012. The PCCs have now been in place for four years and the number of votes cast today looks like being higher than last time. Here is a LabourList piece from the Labour candidate in Devon and Cornwall who has an impressive track record. 15.45 – Barnet council is offering an emergency proxy vote to people who turned up earlier and were not allowed to cast a ballot this morning. You need to return the form by 5pm. Click here for more details. 15.02 – Knowsley council is another source of good news. Voters are electing three councillors for each of their 15 wards and many candidates will have guaranteed wins. In seven wards there are fewer than three people standing against Labour meaning there is at least one certain success in each. – Cherryfield – 3 out five candidates are Labour. – Northwood – 3/4 are Labour. – Shevington – 3/4 are Labour. – St Michaels – 3/5 are Labour. – Page Moss – 3/4 are Labour. – Stockbridge – 3/4 are Labour. – Swanside – 3/5 are Labour. – Whitefield – 3/5 are Labour. 14.30 – Sadiq Khan has put his vision for London in a vine, in a tweet. Now that’s Labour for the 21st century! 14.25 – George Galloway’s bus is going nowhere, just like his campaign. The London Mayoral hopeful has been polling between zero and one per cent. 14.12 – Bristol Mayoral hopeful Marvin Rees has released this election day broadcast saying he can change the way politics in done in Bristol. Polls have put him neck and neck with incumbent George Ferguson. A Labour victory here would affirm the party could still win over voters in the south of England so will be watched closely by all. 13.55 – Here is Labour frontbencher Owen Smith with a puppy while doorstepping in Wales! 13.50 – Tony McDermott is standing unopposed in Broadheath in Widnes Halton Council – have an early congratulations from LabourList Tony! 12.51 – Turnout is reportedly fairly low in Uttoxeter Town in Staffordshire, where there is a county council by-election as well as the new PCC being elected. The Labour team are about to get out with a loudspeaker van in order to get out the vote. John McKieran is standing for the council and George Adamson for PCC – good luck to both! 12.40 – Unite has called for an Equalities Commission inquiry into “dog-whistle” campaign tactics, like those seen from Zac Goldsmith has run in his bid to become Mayor of London. A dossier released by the union today said the most offensive comments by the Tories rarely result in disciplinary action. General Secretary Len McCluskey has said Labour has been swift in responding to complaints of racism, but David Cameron is “dragging this country back by decades” by failing to act on racism within the Conservatives. “It is a disgrace and the prime minister has debased his office, not only by allowing a culture of division to be fostered in the London mayoral election campaign but to use the House of Commons as the platform for his hateful brand of dog-whistle politics. “How dare he whip up fury about the Labour party, which has acted swiftly and thoroughly when allegations of racism among members is made in sharp contrast to his party’s behaviour. He is dragging this country back by decades and his party into the sewer. 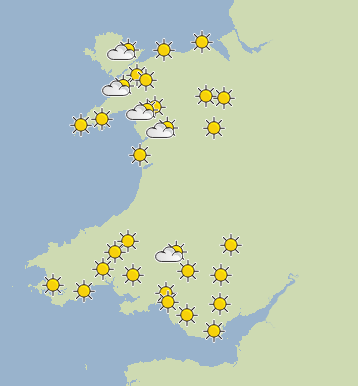 12.34 – It’s pretty sunny across Wales today, which is good news for Labour. Bad weather tends to harm Labour because voters without cars – sometimes the less well-off – are less likely to turn out. The latest YouGov polls have predicted Labour will fall short of a majority in the Senedd. Labour is on course to win around 27 Assembly members, down from the 30 at the moment. UKIP stand to make major gains: they have no AMs at the moment but could gain up to eight. 11.51 – What will turnout be like today elsewhere? Think back to February when we discovered the number of registered voters had fallen despite the fact the population is rising. 11.32 – Word from the ground is of a “good turnout” in Brighton for Labour in the PCC elections. Police and Crime Commissioners have got some of the least attention – for an overview of why they are so important have a look at Dave Prentis’ piece for us here. 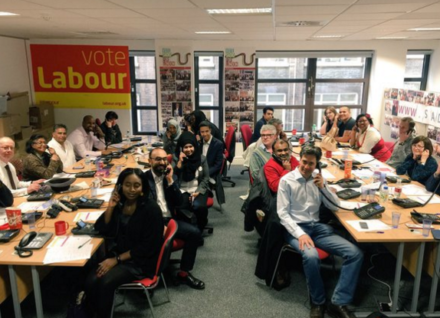 11.27 – London Labour have asked those having problems voting to log it with them here. 11.15 – Has Labour supporter Charlotte Church just said she was voting Plaid Cymru? @Plaid_Cymru all the way for me today!!! 11.11 – Here’s a grandfather-granddaughter duo out (with other activists) on the doorstep in Tooting! 11.03 – Those who are 16 and 17 are able to vote in Holyrood elections for the first time. Things are looking a little bleak for Labour. The Times released a final poll this morning which put Labour in third place, behind the SNP and the Scottish Conservatives. They predicted Labour would only win 21 MSPs, but the Tories would get 24 and the SNP would dominate with 69. Kezia Dugdale has performed well in an uphill battle for the party but many will be disheartened if Labour is no longer the official opposition in Holyrood. 10.54 – Labour candidate for Bristol Mayor, Marvin Rees, has voted. 10.41 – There have been further reports of people being turned away in Barnet, but an activist in Underhill ward has said the issue has now been resolved and voter lists reprinted. If you weren’t able to vote earlier, you’re advised to head back. However, now is a good time to remind ourselves that 600,000 have disappeared from the electoral register. 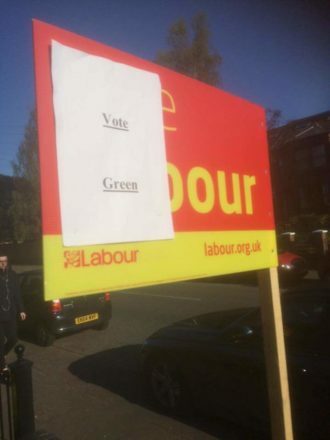 10.18 – There have been reports of voting list errors in Barnet Council with a councillor apparently unable to vote. 10.00 – Polls have been open for three hours. The sun is shining but the backdrop is stormy.